NEMA surveys of facility managers confirmed catastrophic failure or damage of electrical or electronic equipment due to a lightning event or voltage surge and premature failure of electrical or electronic equipment, including failure of life safety equipment. The Insurance Information Institute report for 2013 identified 114,740 insurer-paid lightning claims for residential locations. 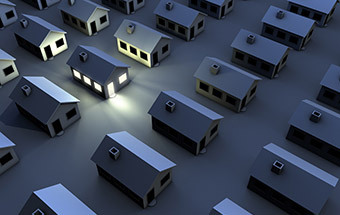 Residential surge protection has long been viewed as an important safety consideration and guidance has been issued by IEEE and NIST to help homeowners protect their house and its contents. According to a 2010 study by Pike Research almost one million Plug-in Hybrid Electric Vehicle (PHEV) or Plug-in Electric Vehicle charge points are forecasted to be installed in the United States by 2015. Each one of these will need surge protection. 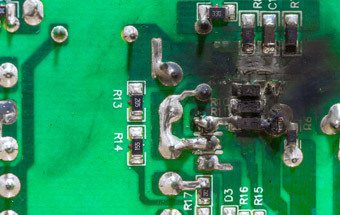 Surges, or transients, are brief overvoltage spikes or disturbances on a power waveform that can damage, degrade, or destroy electronic equipment within any home, commercial building, industrial, or manufacturing facility. Transients can reach amplitudes of tens of thousands of volts. Learn more. Surges or transients can damage, degrade or destroy the sensitive electronic equipment in offices or businesses resulting in: equipment downtime, losses in revenue, and productivity losses. Surges do not explain all of the voltage-related power quality issues. There are many other power quality issues that users should be aware of. 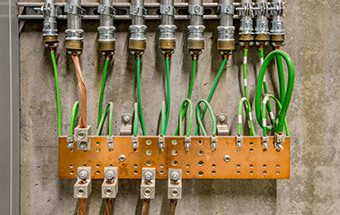 Grounding and bonding are the framework for providing a safe electrical system, ensuring there is a connection to establish continuity and conductivity.